If I’m speaking to an “outsider” who is debating the value of learning the installation techniques of metal roofing versus installing another type of roofing (like, say, asphalt shingles), then I would start by suggesting that any trade requires some expertise and metal roofing is no exception. 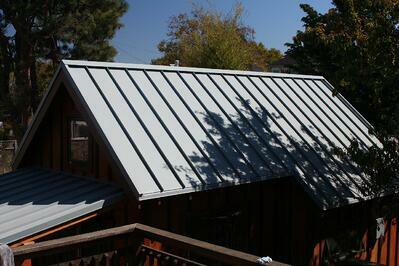 It’s probably true that metal roofing is a more involved roofing system than some other types. But to the casual observer watching any competent crew install any type of roof, it’s not particularly different - nor difficult. Remember that any roof type (wood, metal, asphalt, synthetic, concrete, etc., etc.) requires metal for trims and flashings. The skill set required to properly execute details for all these types of roof materials includes properly executing the metal trim details. So, a full metal roof is merely an extension of that set of skills. Metal roofing may seem to be more challenging that something like asphalt shingles, but even a small amount of time working with the parts by any roofer proficient in the other types will reveal more similarities than differences. Concrete and synthetic roofs are just a “specialized” as metal, and used extensively, and it’s arguable that they’re even more difficult to install. So my short answer is this - metal roofs are only more difficult to install because they require proper sheet metal tools and a little education on the part of the installer about the specifics of the technique. I would argue that most of them are actually easier to learn and install than may other roofing systems. Spending a day watching a metal roof installed by an experienced crew should eliminate all mystery very quickly! If you have an upcoming project, Metal Roof Network would love to be involved. Contact us today.